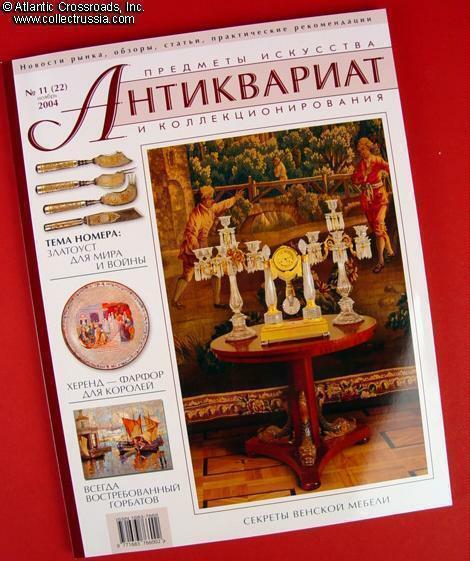 "Antiques and Collectibles" Issue #11(22), November 2004. 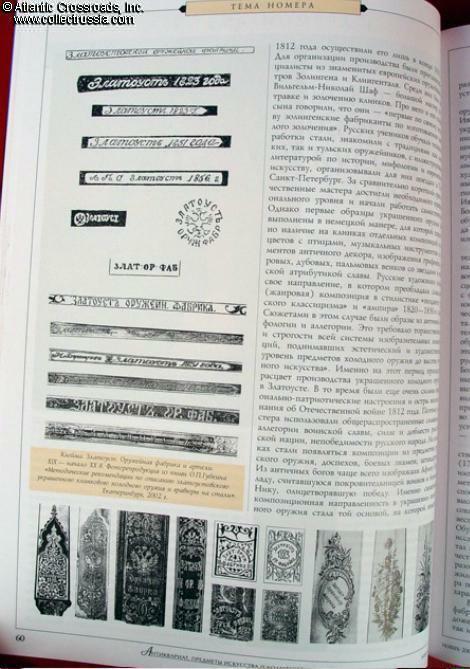 Russian text, soft cover, 144 pp. 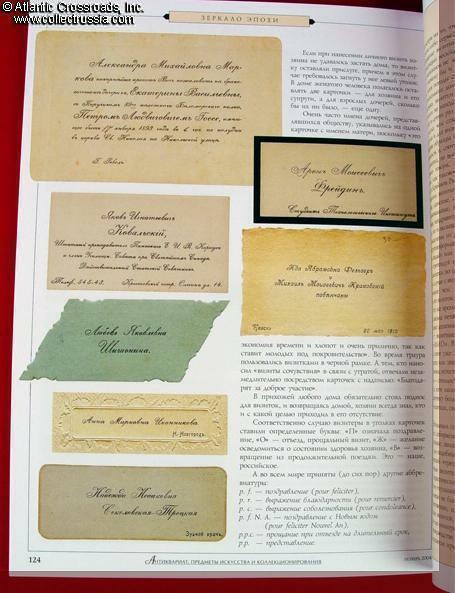 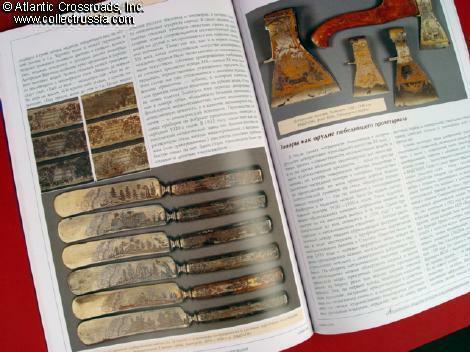 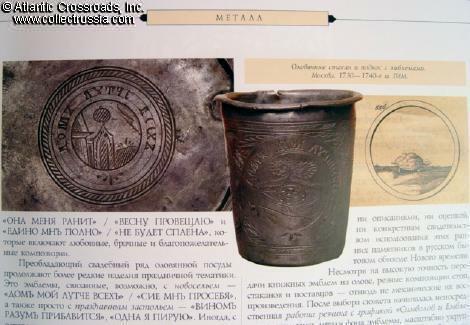 Included in this issue: Folk style in Russian jewelry; Russian tin tableware of XVIII C.; biography and style of artist Konstantin Gorbatov; bisque bas-reliefs on glass; works of silversmith Ivan Schukin; Viennese style furniture of Russian manufacture; bookmarks as field of collecting; excellent article on etched blades by Zlatoust Weapons Factory in Russian museum collections (contains many high quality photos); XV C. Book of Hours by European masters; presentation Samovar of Preobrazhenskiy Guards Regiment; Herend Porcelain Manufacturer in Hungary; ceramic fireplace design by Mikhail Vrubel; advertisements of Russian confectioners at the turn of XIX C.; collectible Pryanik honey-cakes and wooden forms; mysticism in the art of Svetlana Kuleshova; Russian visitation cards; Soviet 1945 parade passes and official invitation cards; Russian charitable donation jettons in tin; Russian coins of foreign manufacture; Russian Landshaftscbriefmaken stamps.